I recently reached a crunch point with my hair; long time readers will know that I frequently post about hair inspo and moan about my own mane. Equally, IRL friends will know that I am a bit of a hair obsessive (if I could, I would probably plait the hair of everyone within in a two mile radius). What with my (then-)upcoming birthday lingering around the corner, I decided I didn't want to enter age 22 with grown out roots and faded colour (which, towards the end, was starting to resemble damp, trodden on, straw). For this reason, I bit the bullet and went for a consultation at one of my favourite places in Kent-- and definitely my favourite salon-- So Hairdressing. ^ The back of my head, before. Or is it Cousin Itt? After sorting me out with a cappuccino and a few editions of Cosmo and Glamour, Abbey got down to the business of fixing my barnet. Despite the somewhat slapdash decision to book an appointment, I actually had tons of photos of hair that I had collected for 'research'. 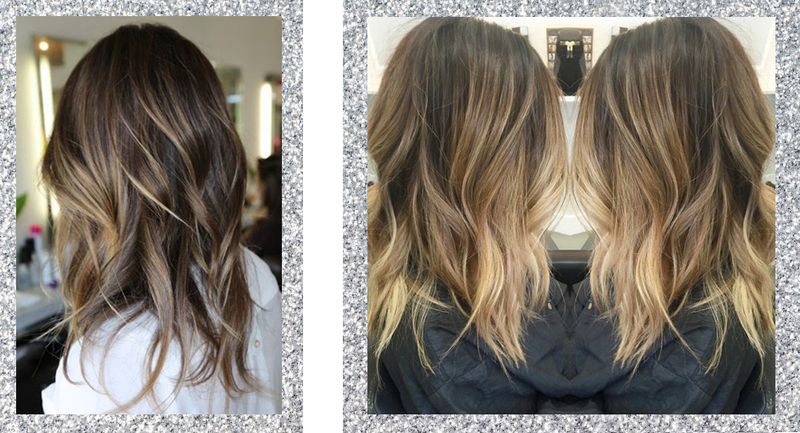 I knew I wanted Balayage and despite having probably 40 photos of various Californian hair babes on my phone I managed to narrow it down to two inspiration pictures demonstrating what I was really after. 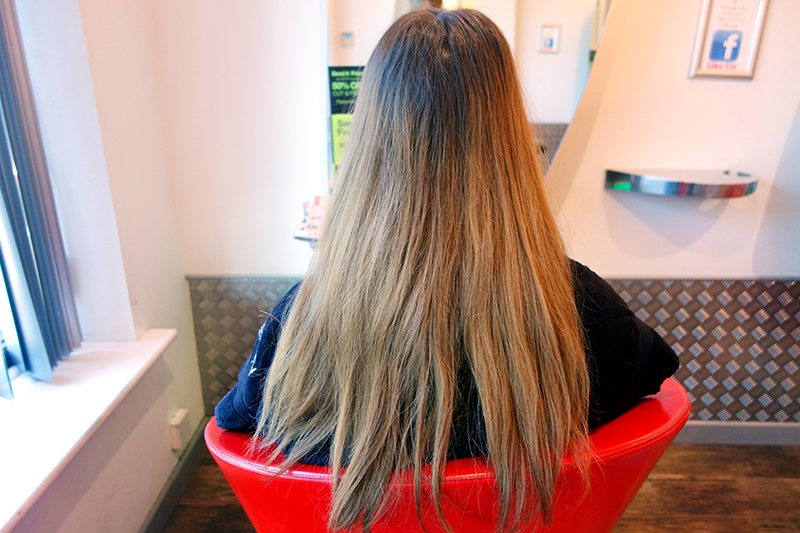 For starters, I wanted my root colour brought down to the mid-lengths as I just could not bear the root maintenance any longer. I wanted the ends lightened but due to the build up of dyes on my hair I wasn't sure how light it could go, so I was happy to just go for a colour that just gave a similar effect. I always love So Hairdressing as a treat anyway (I usually wait for their half price cut + finish offers that they occasionally dish out), but I have to say that I did particularly enjoy myself this time around-- and that's already having enjoyed my past experiences there anyway! 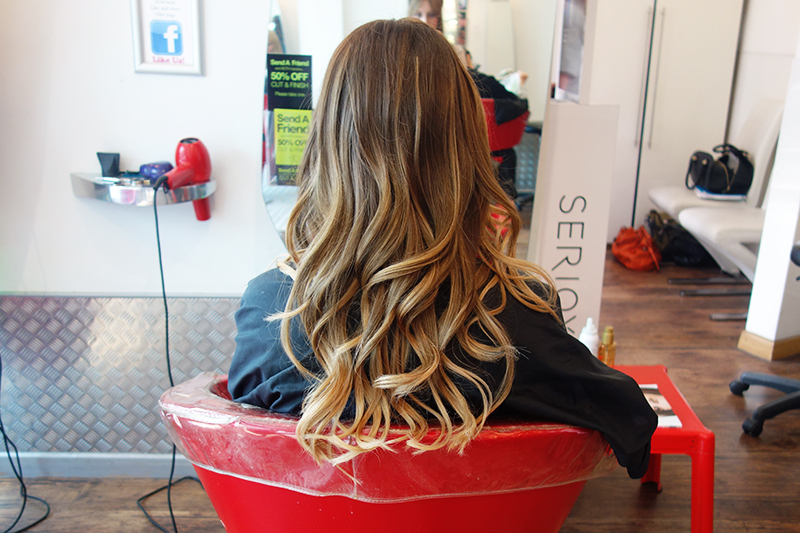 It was really lovely getting to know my hairdresser a bit and having the same person all the way through the process. I know sometimes it's the sort of thing that isn't always possible but it really does make a difference.